Buy hair extensions and wigs online in Canada! Short and fine hair? Hair extensions are the solution. Canada Hair Extensions are comfortable, discrete, safe, made of quality hair, and will instantly give you longer, fuller, and more luxurious hair. What is the best way of getting longer and thicker hair instantly and safely? It’s with clip in hair extensions! Clip in hair extensions are the most popular hair extensions because you can install and remove the extensions yourself. No need for you to book an appointment with a hairdresser to have them installed! You simply part your hair, open the clip open, and attach them to your hair. It only takes a few minutes. Go from short, thin, and boring hair to long, thick, and luxurious hair instantly. What are the best hair extensions if you have thin or fine hair? It’s tape in hair extensions! Tape in hair extensions are comfortable, lightweight, discrete, and reusable. These extensions will add length and volume to your hair in a natural looking way. CanadaHair.ca’s tape in extensions were specifically designed for women with thin hair. Get longer, thicker, and more luxurious hair in a safe and discrete way with our tape in hair extensions. If you wish to wear extensions 24/7, micro loop hair extensions are a great solution. Contrary to other hair extensions methods, these extensions are installed without glue or heat. In short, each strand has its own loop at the end of it. This loop will be used to attach your own hair with the strand of hair extension. CanadaHair.ca’s micro loop hair extensions are made of 100% real hair, so they will blend seamlessly with your natural hair for a natural and discrete result. 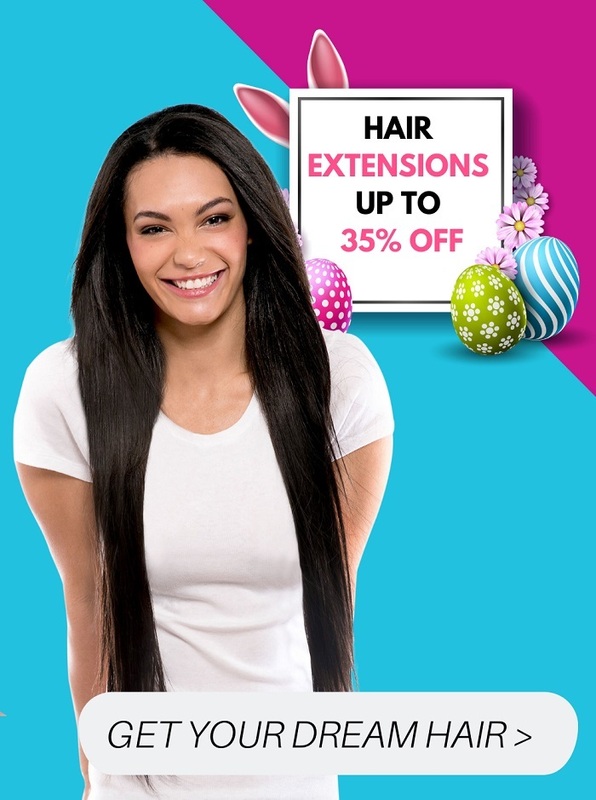 Dramatically change your hairstyle today by buying micro loop hair extensions on CanadaHair.ca! What are the most preferred hair extensions by celebrities? It’s fusion hair extensions! Fusion hair extensions come in different hair strands. Each hair strand has a glue at the end of it. This is why some people refer to fusion hair extensions as pre-bonded hair extensions or keratin tip hair extensions. These extensions are installed strand by strand, so the end-result is really natural. The glue at the end of each strand will be melted to your hair with the help of a hot tool called “fusion connector”. The greatest advantage of fusion hair extensions is that they hold firmly to your hair. This is why many celebrities love to wear fusion extensions. Are you ready to get longer, fuller, and more luxurious hair? Then place your order today on CanadaHair.ca! If you wish to wear extensions 24/7, sew in hair extensions are a great way of achieving this at a very low price. Indeed, sew in extensions are the most inexpensive type of permanent hair extensions. It works this way: the hairdresser will start by braiding small sections in your natural hair. After that, the weave will be cut into small pieces and sewed into the small braids in your hair. Dramatically change your look by placing your order today on CanadaHair.ca! Why waits for months for your hair to grow back naturally when you can instantly have a long and thick ponytail with ponytail extensions! Ponytail extensions are prefect if you wish to dramatically change your look. These extensions are installed easily and quickly. You can install them yourself in a few minutes. They are safe and discrete. Discover quality ponytail extensions by placing your order today on CanadaHair.ca! Canada Hair extensions are soft, tangle-free, discrete and will give you longer and fuller hair. Hair extensions in Canada are usually expensive, but not anymore because we now offer in canada hair extensions that are affordable. Our favorite type of hair extensions are clip in hair because you can wear and remove them anytime you want. And it only takes 5 minutes! That’s what makes clip in hair extensions a best seller as one of canada hair extensions. Another popular type of hair extensions are permanent hair like weaves / sew-in hair extensions, which was the 1st method of hair installation to be introduced to the market. Canada Hair extensions are also available as tape in hair: a discrete way of having long hair. If you are looking for more volume, we suggest micro-loop hair or fusion/pre-bonded hair extensions. We offer 2 qualities of hair extensions: 100% real human hair and synthetic hair. Both will give you longer and fuller hair, but with 100% real human hair, you can style the hair with your hot tools and style them as you please without any danger. Canada hair extensions are available in many colors, lengths, styles, qualities and thicknesses, which makes us your #1 reference for hair extensions in canada and hair care products online in canada. Hair extensions in Canada used to be available only in big cities until our store, Canada Hair, made it easy to buy hair extensions online. Hair Extensions shouldn’t be luxury, we believe all Canadians should have access to quality hair extensions at low prices. Canada Hair extensions are possible because we have developed a sophisticated distribution system. As a result, you can find on Canada Hair’s website the latest and hottest products. We are also designing and producing trendy wigs, soon you might refer to us as Canada Wigs because we will be offering countless styles of wigs! Our mission is to offer top quality hair at affordable prices for Canadians. We have a hassle-free easy return policy, all payments are 100% secured and we ship from Canada. This means that your hair extensions, wigs, hair care products and hot tools will be delivered to you quickly and safely. Shop hair extensions in canada and hair care products online in canada by browsing our website now. Human hair extensions keep gaining popularity in Canada because they look more natural. Contrary to synthetic hair extensions, human hair can be styled with hot tools. If you feel that your hair line is getting thinner and short, you may consider purchasing human hair extensions. Human hair extensions are widely used in the field of fashion industry. Remy human hair extensions are the best in terms of price/quality ratio. Remy Human Hair Extensions are extremely versatile and flexible. However, they are more expensive than synthetic hair extensions due to its quality. One of the major drawbacks with respect to synthetic hair and its hairpieces is that it is difficult to manage and is vulnerable to damages. A human hair extension stands apart since it is the most preferred extensions by the customers and hair stylists. Now let us discuss some of the major reasons behind investing money in remy human hair extensions. Easy to manage and style human hair extensions: One of the major advantages of wearing human hair extensions is that it can be styled in any ways such as hair straightening and curling. Although the extensions made of real hair can be dyed, we always recommend you don't change the color of the extensions. Changing the color of the hair extensions may damage them and shorten their lifespan. If you dye the extensions, this is done at your discretion and we cannot be held accountable if you are unhappy with the outcome. Easy to wash and minimum maintenance : You can wash and rinse human hair extensions and manage them like a natural hair. Note that if it is properly taken care of, you can extend its longevity. What are the differences between remy hair and human hair? Remy Hair Extension is one of the superior quality hair extensions available in the market. It is designed in such a way that all the cuticles are paired and positioned in the same direction. By doing so, the hair follicles are placed in exact direction. The hair strands are carefully aligned in a particular direction as and when it grows. It would help in eliminating further tangling issues when compared to standard human hair extensions and least expensive hair extensions. It ensures durability and lasts for a long period of time. How to wash clip-in hair extensions? At first, you may pour large quantities of cool or lukewarm water into a bucket. Remember to detangle the hair extension before they are immersed into the water. You should not twist or rub the hair. Include small quantities of mild shampoo and gently swash it. Now thoroughly rinse the hair using cold water. Remove the excess water by using a towel. Allow the hair to get dried up. Ensure that it is not exposed under direct sunlight. After it is completely dried, pick the hair extension and style it according to your needs and preferences.